Every one of us has differently shaped eyes. This doesn’t mean that you cannot wear a specific type of eyeliner. What it means, however is that some eyeliners are better for certain shaped eyes. Does that make sense? 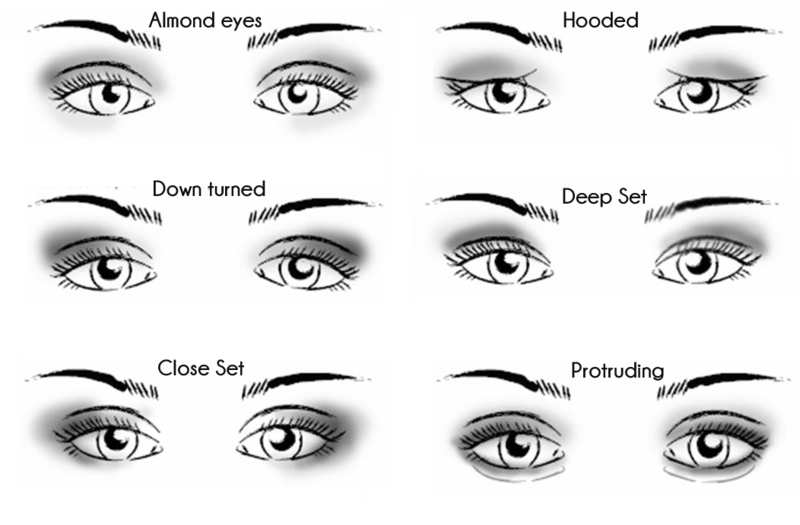 From almond eyes to protruding eyes, you need to know which eyeliner best suits you. If you have almond-shaped eyes, the best product to accentuate those eyes is the use of a waterproof eye pencil. Line both the inside of the lower and upper lashes. Trace the outside corners of the lower and upper eyelash lines using a smudged brush. Add some gray eye shadow for a softer look and then a bronzer in the crease for a more natural look. Use black eyeliner such as Rommel London Scandal Eyes. Make sure you choose one that is waterproof. Apply along the eyelash line, starting from the inside corner to the outside corner while culminating the width slightly as you get to the outside corner. This creates the look of an uneven eye, making the eyes appear wider. If you have close set eyes, then you need to create an illusion that your eyes are wider than they really are. To do this, apply a concealer on the inner corners of the eyes to open it up and lighten it. The ideal concealer to use in this case is the NudeStix pencil. Use black eyeliner on the outer corners of the eyes to make a “V’ shape and then use a large liquid liner to trace the “V” shape that you already made. If you have Monolid eyes, use waterproof pencil in black and apply on the upper eye lid first and then outer corner, stopping at the end. Use a tiny smudge brush to smudge the corners. One that is ideally recommended is the Bobbi Brown Smudge Brush. If your eyes are wider than the normal person, then you want to look bold. Cat eyes are ideal for this type of eye shape. Use a waterproof eyeliner pencil in black to make a small “V” in the inside corner of the eyes. After that, use liquid eyeliner to reshape the “V.” The best liquid eyeliner for this is Ciatè Double Lines Liner because it has a dual side. Make a wing at the outer corner of the eyes for the ‘cat eye’ look. If you have smaller eyes and want to widen it, you should put on a taupe eye shadow (Nars Matte Shadow) on top of the eye lids. Make sure you include the creases of the eyes. Along the eye lash line, use an eye brow pencil, preferably Kohl eye pencil or Chanel Le Crayon. Repeat the process on the bottom eye lash line, but use a black eyeliner and brown eye shadow combination. Finally, put on a pale pink blush on the top outer corners of the eye lids using your feathery eye shadow makeup brush. This opens up the eyes instantly. If you used any of these tips, let us hear how it worked for you. Or if you have additional tips, we would love to hear them. Leave all your comments below.